44 years are over after the departure of Comrade K.G.Bose from our midst. It was on 11th December 1974 that our beloved leader Com. K.G.Bose passed away in a London Hospital, at the comparatively young age of 53. But the contribution of Com. K.G. to the P and T Trade union movement during that period is beyond description. Born on 7th July 1921, he entered the P and T Department as a clerk in the DET Office, Calcutta in 1941. From the date he joined till his death in 1974, he was completely merged in the union activities, leading and guiding thousands of committed workers all over the country. His role in the 1946 P and T Strike, in the formation of NFPTE in 1954, exposing the revisionist leadership and leading the workers on the correct line – all are well known to the P and T workers. Thousands of young comrades like me have been inspired by him and became active workers of the union. Com.KG was a fighter, a revolutionary, a leader who mingled with the workers and understood their aspirations and capabilities and molded them in to dedicated and determined activists. He was elected as President of NFPTE in 1970 and led the movement on the correct line. He was elected to the Bengal Legislature and was a Member of the Pay Commission for the State Govt. Employees. His last days were in a London hospital, where he was taken for treatment of dreaded cancer. Though expert treatment was given, he could not recover and passed away on 11th December 1974, leaving all of us is complete darkness. A few words from his last letter to the comrades in India is reproduced below:” I want to survive and continue my uncompromising fight against all injustices, and in this fight I am not alone, thousands and thousands of comrades are with me and they are the source of my inspiration.”… ” We can not be a party to any proposal which may be considered as surrender of the principled stand by the common workers”. The own building of BSNL Employees Union in New Delhi is named “K.G.Bose Bhawan” in his memory. There are many such union offices all over the country which are named after him. His wife, Com. Parul Bose, herself a staunch union worker, also passed away a few years back. Com. 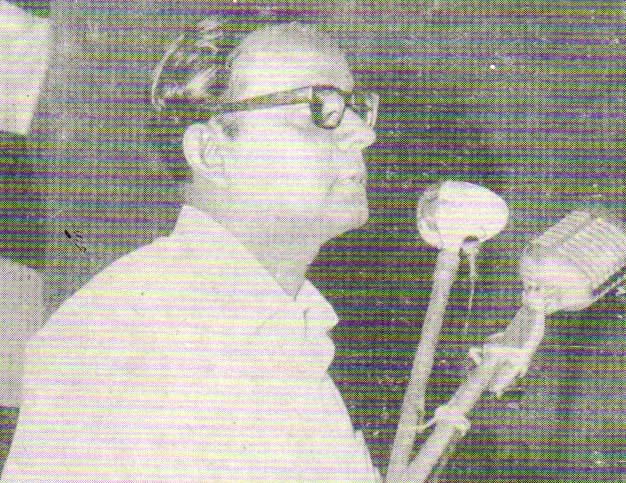 Moni Bose, the veteran trade union leader and one of the First Patrons of the BSNL Employees Union, who passed away in 2010, was his younger brother. Recently when I was searching some old papers at my home at Calicut, I got a few letters which have been sent by Com. KG and which I have kept safely as a memory of the great leader. I feel fortunate that I could meet and be a dedicated follower of Com.K.G.Bose. Red Salute to Com. K.G.Bose, the Eternal Revolutionary! RED SALUTE TO COM. K G ….. !